Flora Frazier’s essay told of being the daughter of a sharecropper and domestic worker in the segregated South. One woman in the memoir program squeezed the microphone tightly with two hands, and one man leaned forward with a casual ease. When it was Flora Frazier’s turn, the petite great-grandmother stood up straight, held the mike with one hand, and studied the packed room through wire-rimmed glasses. And with that, she began a vivid depiction of deprivation as the daughter of a sharecropper and domestic worker in the segregated South, reading secondhand texts in a decrepit schoolhouse, collecting stray coal that fell from the delivery truck as they shivered through winter, and bending over to pick cotton for 2 cents a pound. Hope crackled through the radio in the form of a Christian Science program broadcast from a far-off place called Boston. Who could have imagined then that Frazier would move here, let alone that she would someday tap those memories for a city of Boston writing project and see her words published in a book? But there she was Tuesday afternoon, reading from her personal essay (“Suffering Was Our Lifestyle”) as part of the final group of seniors to participate in The Memoir Project, a decade-long collaboration between Boston and GrubStreet, a nonprofit creative-writing organization. Starting with the North End in 2006 and ending in Dorchester, the partnership moved through 15 neighborhoods, staging a series of free eight-week workshops. For the first few weeks, author and GrubStreet teacher Michelle Seaton would lead two hours of discussion — with finish-this-sentence writing prompts such as “my mother never . . . ” — and the city’s Elderly Commission would provide lunch. In later weeks, participants would craft essay-length memoirs and receive one-on-one coaching. Some of the 200 or so seniors were seasoned writers, while others had not touched a keyboard since high school. Some were neighborhood fixtures; others had recently lost a spouse or relocated to be near children. They made new friends in the program while finding their voices as writers. 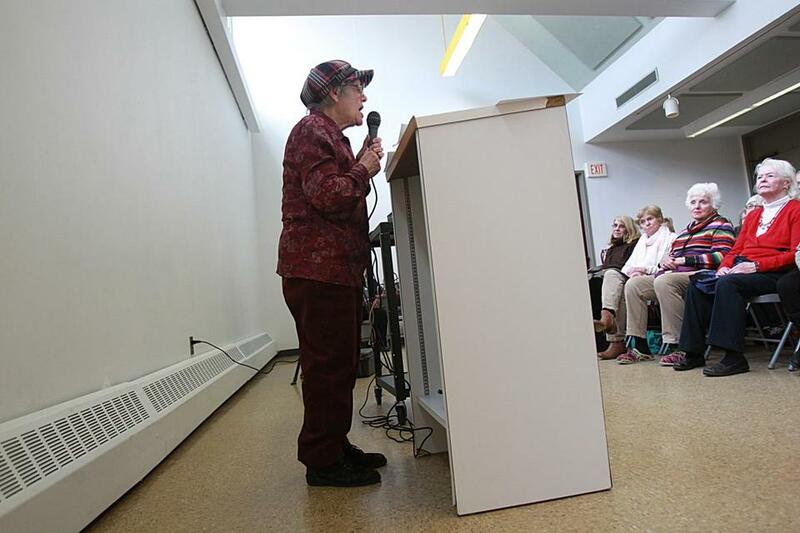 Denyse Bardouille read an excerpt of her memoir Tuesday at a public reading at the Lower Mills branch library. Each workshop has culminated in a public reading like Tuesday’s at the Lower Mills branch library, which drew 70 people. The city and GrubStreet have published the memoirs in four batches of anthologies, coupling the essays with artful author portraits. The fifth and final volume is due in April. Tuesday’s readers hinted at the wide range of subjects and time periods the memoirists have covered. Bridget Higgins (“The Day My President Died”) recreated her experience as a young Irish-Catholic housewife in Dorchester shaken by the news of President John F. Kennedy’s assassination. Virginia Byrne McCulloch (“A Good Party”) wrote about losing her husband, through the prism of the raucous post-holiday parties they used to hold every year. 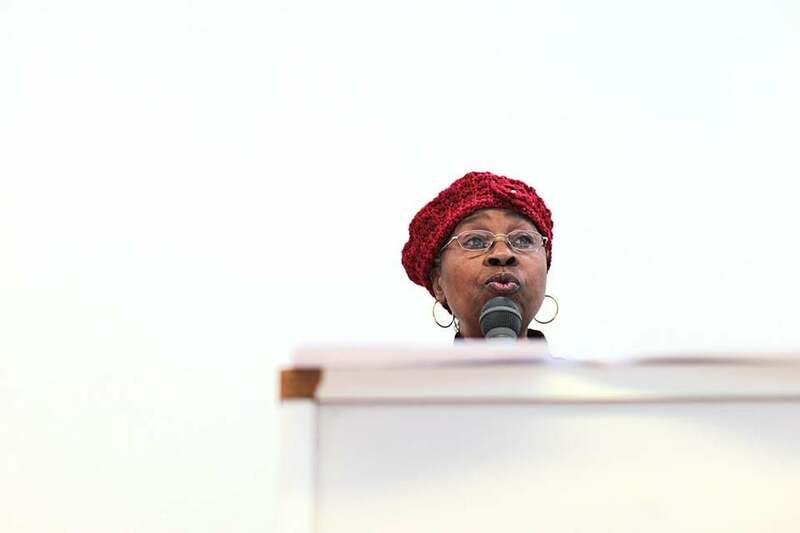 Frazier, born into poverty in southern Alabama in 1942, was a retired state employee living in senior housing in Hyde Park when someone who knew she wrote poems for church recommended her for the memoir class. In her memoir, Frazier covered birth to 21, when she left Alabama’s red-clay soil for a bus to Boston, where she found work initially as a cook and housekeeper. Though the class is over, her momentum is carrying her to keep writing about the next 50 years. “It’s all in my heart and my head,” she said, adding that she plans to travel to Alabama with her photographer-designer grandson, Anson Frazier, to film a documentary about her story. During the Q-and-A after the reading, several in the room made a pitch to keep The Memoir Project going. 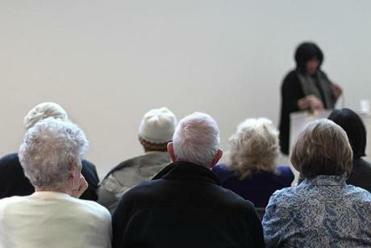 Seaton and Tula Mahl, a deputy commissioner of elderly affairs, hinted at the possibility, funding-dependent. Either way, the Rev. Bill Loesch — one of the last participants — encouraged everyone to preserve their stories for the next generation. Rose DaCorta shared an excerpt from her memoir. Eric Moskowitz can be reached at eric.moskowitz@globe.com. Follow him on Twitter @GlobeMoskowitz.